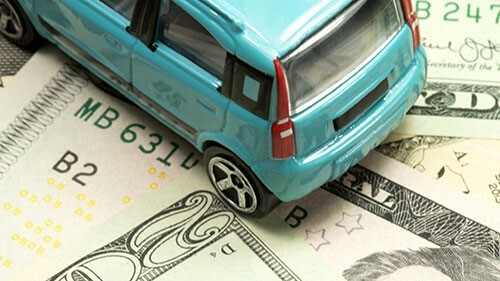 Many factors go into determining your car insurance rate. Your driving record, driving behavior and the make and model of your vehicle can all play very large roles in the annual cost of your coverage. However, one factor that many motorists tend to overlook is location, which can sometimes be the deciding factor for how much you pay for car insurance. The average rate for automotive insurance varies from state to state. While the most and least expensive states for car insurance can vary from year to year, a few states commonly show up on one of these two lists. According to CNBC’s Robert Ferris and Akane Otani, Michigan is the most expensive state for car insurance. Average annual car insurance rates for Michigan in 2016 came in at $2,738. Ferris and Otani also reported that Maine had the least expensive car insurance rates in the nation, coming in at an average annual rate of $808 in 2016. One factor in determining car insurance rates by state is whether or not the state has fault insurance or no-fault insurance. These two systems determine how fault is attributed during an accident. In states with fault-based insurance, the cost of an accident must be covered by the driver who is determined to be at fault, according to the DMV. The majority of states across the country have this type of insurance and, as such, these states require the driver to have a minimum amount of liability insurance. This will cover the cost of repairs and medical expenses if a driver is found liable for the accident. On the other hand, a select group of states have no-fault insurance. With this insurance, a driver’s own insurance covers the cost of repairs and medical expenses for them, regardless of whether they were at fault for the accident or not. No-fault insurance came about when the court system needed to become involved to determine who was at fault after an increasing number of accidents. As such, no-fault insurance was originally meant to reduce the burden on courts, while also reducing car insurance rates. Despite this, states with no-fault insurance — like New Jersey, New York and Michigan — occasionally have some of the highest auto insurance rates in the country. Perhaps even more important in determining your annual auto insurance rate that your state of residence is the environment in which you reside. Kathy Kristof of CBS MoneyWatch notes that car insurance rates can vary greatly by zip code, even between two areas that are near each other. Emily Delbridge of The Balance explains that if you live in an area with a high rate of automotive crime, it can cause your insurance to increase exponentially. While many urban areas have high rates of automotive crime, Delbridge elaborates that many rural areas can also have higher automotive insurance rates because of deer accidents and roads in serious need of repair. Unless you’re ready to pack your things and move to another part of the country, there’s not much you can do about how your location affects your car insurance. If you maintain an exceptional driving record and credit history, you can help lower your annual insurance rate in other ways that you do have control over.